Nationally recognized certification that is the medical standard for people working in remote environments. The Wilderness First Responder certification is the recognized industry standard for people who work in remote environments in jobs that include wilderness guides and trip leaders, camp counselors, research expedition members, and search and rescue team members. Who should take a WFR course? WFR courses are designed to meet the needs of individuals who have a leadership role in a wilderness setting. It is also an excellent option for individuals who are seeking intensive medical training in order to be prepared during personal wilderness trips or extended expeditions. The course is also for medical professionals seeking ways to apply their skills outside of the clinic setting, as well as people who live in areas that are prone to natural disasters whose aftermath may delay emergency response. What topics are covered during the course? Topics in the 76-hour class include: patient assessment, how to provide long-term care with limited resources, the decision of when to call for more help, and treatments such as splinting, wound care and managing spine injuries. The course schedule includes classroom time, as well as extensive hands-on skills practice through medical scenarios and labs. The WFR course does include an in-depth final scenario as well as a written exam. The LWM WFR course includes CPR certification. The LWM Wilderness First Responder training meets the American Camp Association 2012 Standards and is an accepted Wilderness First Responder provider for the Boy Scouts of America. 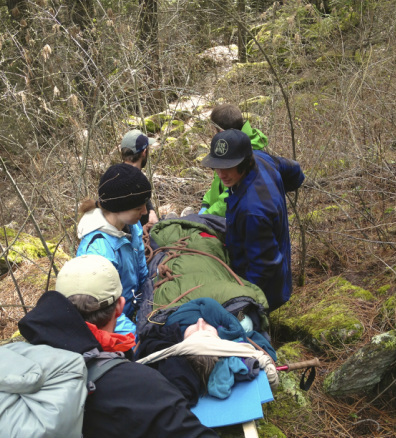 ​Based on the discretion of the training officer, the Wilderness First Responder course may be used as continuing education credits for pre-hospital professionals. The WFR is approved for a significant number of core and elective credits for the Fellowship of the Academy of Wilderness Medicine through the Wilderness Medical Society. Please contact us for further details. Participants must be 16 years old to participate in a WFR course.